The Huemul Circuit is a four days trek around the Huemul mountain and starts and ends in El Chalten. The trek allows magnificent views of the Southern Patagonian Icefield – the third largest on earth! If you want to read more about this trek, read the post here. For further information on the food we ate during the four days check out this post about hiking foods. 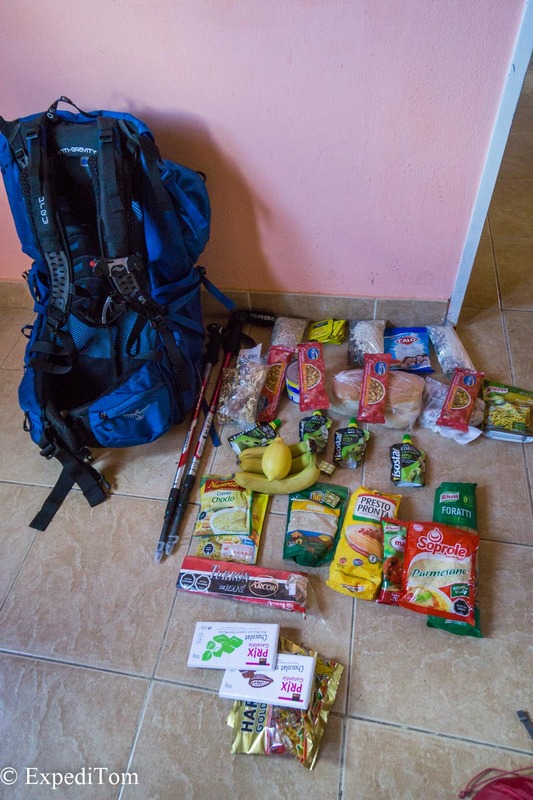 For this trail it is necessary to prepare well and a packing list comes in handy. Therefore, I put all the gear in this list that me and my friend Philippe carried. If you find this information helpful, consider sharing it.
! All of these items can be rented in El Chalten, though pretty expensive and subject to availability ! This packing list provides information on some mandatory items to carry during your trek. However, there are as well items on this packing list which are not necessary as the camera equipment. As pointed out above this is my personal list and you can adapt it to your needs. What came apparent after the Huemul trek is that less is more. Try to cut down as much weight as possible you will be able to enjoy the outdoor experience much more. Furthermore, it helps a lot to hike together with someone in order to spread the weight of item you both need: tent, cooking, but maybe not the sleeping bag. Spread the word if you found this helpful and if you have any questions let me know in the comment section below.